One of the main points to be made here at Apocalypse How is , to understand , to explore, the definition, of Apocalypse. We have been programmed through TV, Movies, Books, Religion to define the Apocalypse as a negative, destructive, end of civilization event. When in fact it is a process , Apocalypse means the unveiling, the quickening, transparency of all things. One of the most powerful truths coming to light during this Apocalypse “Right Now” is the understanding that we are infinite, co-creative beings. As co-creators , we are learning that how we “define” things, what we “believe” things to be , has a direct impact on our experience here on earth. We are learning that as we change our definitions, change our beliefs , we are actually recreating ourselves , we are actually shifting to versions of reality that are more in alignment with these new beliefs, these new definitions. The Powers that be , the social engineers, know this , they know who and what we are , and they have used this esoteric knowledge to manipulate this infinite power source towards their own agendas for thousands of years. They have in a sense have been tapping our power to co -create a world “they” have chosen. From a greater persepctive we have all been willing participants in this , none of us are victims. We wanted to experience the complete disconnect form source so we could work our way back home. This is raw creation , this is exciting , and we are masters at this , this is what we do , and “Beings” through out the multiverse respect and admire those that take this path, it’s not for the uninitiated, Planet Earth is a “Master” course. The Apocalypse is shining a blinding light on this process, many of us around the world now see the big picture, we can see how “The Game ” is played. And once the games is exposed to the blinding light , once we as individuals acknowledge this reality , it’s game over. And this is the destruction we are seeing , this is the end , the Apocalypse is talking about. This is the end to the constructs that we no longer need. For many of us, we are simply done with this phase of our personal and collective evolution, we are ready for graduation. And this will be the purpose of the “Post Apocalyptic Paradise” series, it’s going to be a journal of sorts, a glimpse into what this world, this reality will look like , once we make that shift , once we re-define, re-acknowledge , re-remember who and what we are. There are many out there myself included who sometimes get drawn into the main stream version of what a Post Apocalyptic world would look like , think , The Road , The Postman, and many other stories and movies that all portray a dark period of destruction , despair , hopelessness. Because that’s what sells books and Movie tickets. We all have a sort of underlying addiction to these sort of doom and gloom scenarios , simply becasue they allow us to escape the current reality. In these main stream post apocalyptic stories , we no longer have to go to work ,we can sleep in , we no longer have to pay our bills, we can simply wander the world , live off the land, scavenge through stores for canned foods, with no government or authorities to tell us what to do or think or impose their wars on us. What would be the point of that type of life , really , if all we do is wander around struggling to survive , filthy dirty , cold and hungry as we watch the Earth slowly die off. This is the sort of story line Hollywood likes to perpetuate, this is their attempt to steer us , via media programming , towards the darkness. Just remember this is part of the course, part of our schooling , and it is up to us graduate the course by realizing its just a course, by re aligning ourselves vibrationally so we can choose , what ever experience, what ever outcome we like. Below is video of someone sharing their thoughts , their feelings about this process, their are perhaps thousands of videos on youtube of people asking these same questions , wanting some kind of change to occur even if it means the collapse of society or worse the destruction of the planet and human civilization . There is nothing wrong with this , it’s a good healthy response to a world that is insane. 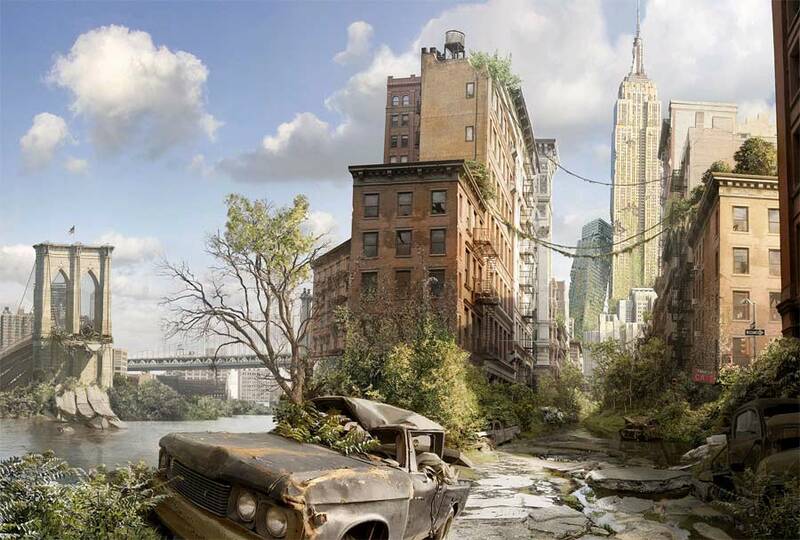 We can have a Post Apocalyptic Paradise !